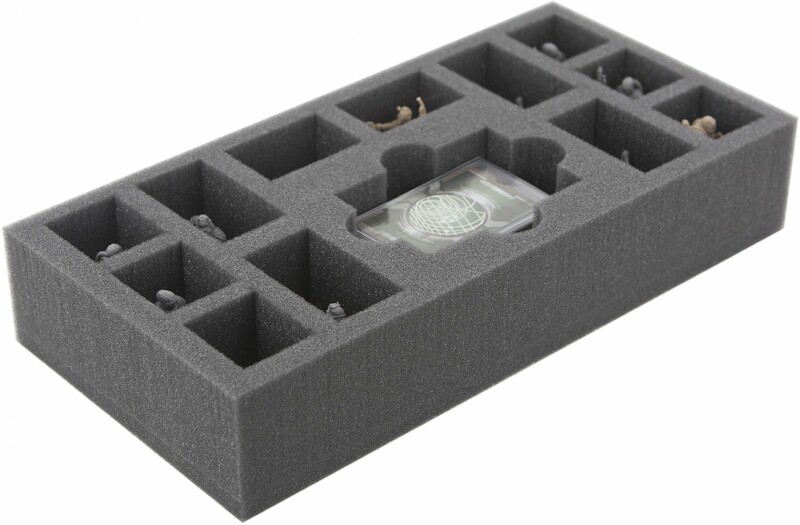 This foam tray suitable for retrofitting the game content from the Imperial Assault: Jabba's Realm board game box. 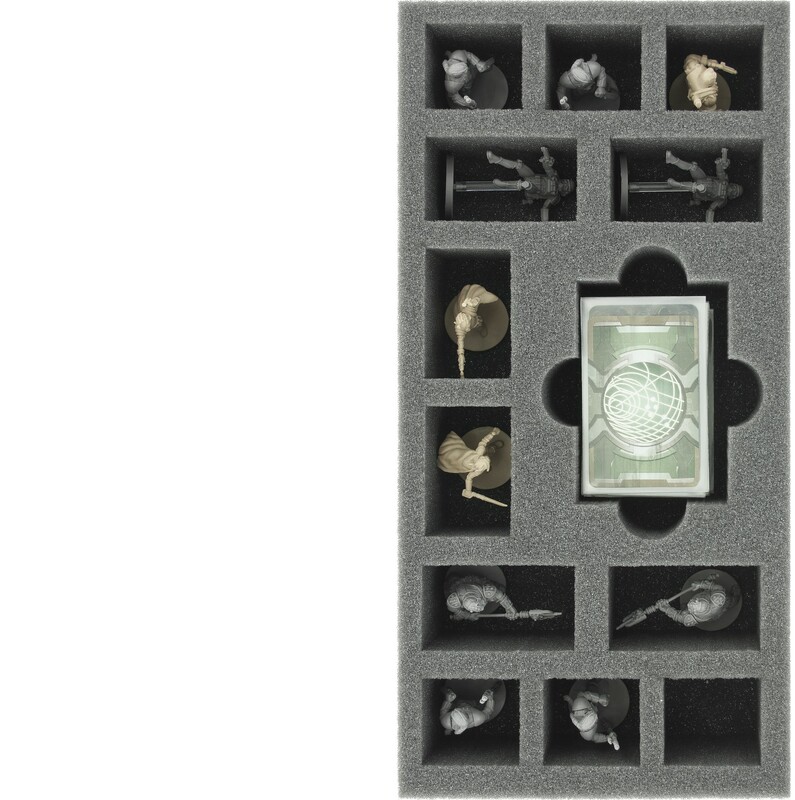 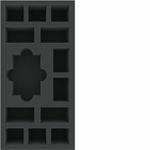 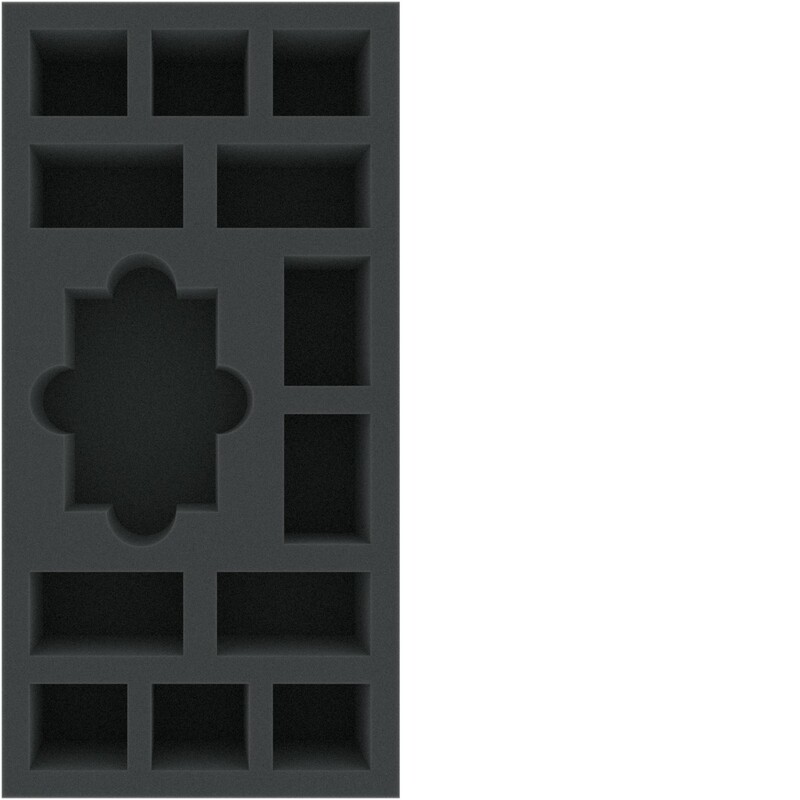 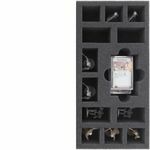 The 13 different sized compartments are suitable for miniatures and cards in sleeves. 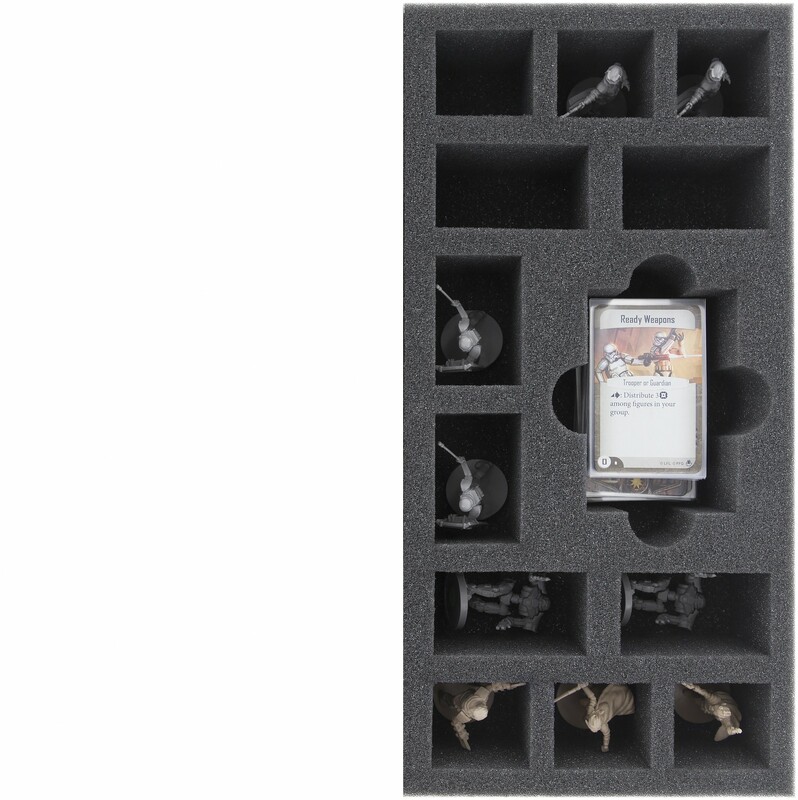 The foam tray has the half size of the original board game box, two juxtaposed fit into the original board box and perfectly into the Feldherr storage box LBBG.